This is an exclusive, invite-only review program. I am currently not a member, and the site is closed to the public. Am I required to leave a review? If you’ve had a chance to try the product, please do leave a review on Amazon with your thoughts on the product. The success of our community depends on you, the reviewer! Without your valuable contributions, we will not be able to continue to offer such incredible Amazon products at amazing prices. There is no obligation to leave a review if you really don’t want to, but we just want to let you know that you, and your reviews, mean the world to us! UPDATE Sept 28, 2016: The site is back up, and on a new domain. Link below updated. Thanks Jessica for the tip! what is the invite code? Hi. What is the invite code? Is there an invite code? I have reviewed 2 products for free through them – easy! I would love to receive an invite. I have been to this site several times and have reviewed products but it seems that the website has been shutdown. Unable to access. Anyone else having problems? I’m having the same issue today as I had received some items today to review. It’s actually been great fun. I’ve reviewed over 16 products. Yes! Since last night!! I can’t get into the site! I also tried emailing and got an immediate failure saying that the email didn’t exist!! I don’t know what’s going on!! I also couldn’t find them on FB anymore!! Yes. I too have been trying to log onto their site since yesterday and get a this site cannot be reached sign. Also like you I tried to reply to an email from them and got an email saying that the email address was not valid. Just started reviewing and was excited to pick my next 2 products to review. What a bummer. I’ve also reviewed several products and the website is not working for me either. I have two products that were just shipped and no way to link my review. Yes! It seems they are gone. I am so sad! I have been using the site for about a month and I love it! I was skeptical at first but after my first order I was hooked. 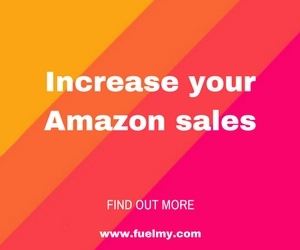 Unlike AMZ, another site that offers the same type of thing, you get the codes instantly and as you complete more reviews, you get to increase the number of products to request at once as you increase your “tier” level. Most of their products come from one seller and are organic products and supplements, but they are fun to test and, hey, they are pretty much all free. The selection is limited and sometimes the products sell out so you have to wait for products to come back in stock. I got my invite from FB – I came across it one day and jumped on it. Had never heard of them before and checked it out when I saw the invite and got right in. They basically had an open call one day. Don’t know about an invite code unfortunately. But the last couple of days I have had a hard time getting into the site. It’s like it doesn’t exist. I am going to keep trying. I am a gold/advanced member right now and I am almost to Expert level! I hope they didn’t shut down suddenly! That would be a bummer!! They re-lauched had to move to a bigger server. review.club is the new site location. got an email yesterday about it. I went to their site. You can sign up to be on their “Wait List”. To sign up, first and last name, email and link to your Amazon profile. Then, if/when they will email you an invite. No guarantees, just gives you a shot at it.